Recovery for Gionee P3S is finally ported and worked fine all thank Rahul Machhi for emailing and requesting that recovery be made for his Gionee P3S men Rahul can scare the hell out of me with emails floating my inbox on a daily basis asking and thanking me in advance for the recovery. With his constant request, I had to port the recovery for him. The special thing about this recovery is that it the latest TWRP 3.0.2-9 recovery for Gionee P3S with more stability, fast backup n restore and minor invisible changes. Flash this awesome recovery to your Gionee P3S to change the boring Clockworkmod recovery from your device. This recovery is work for my Gionee P3S.. Thank you sir for make that.. 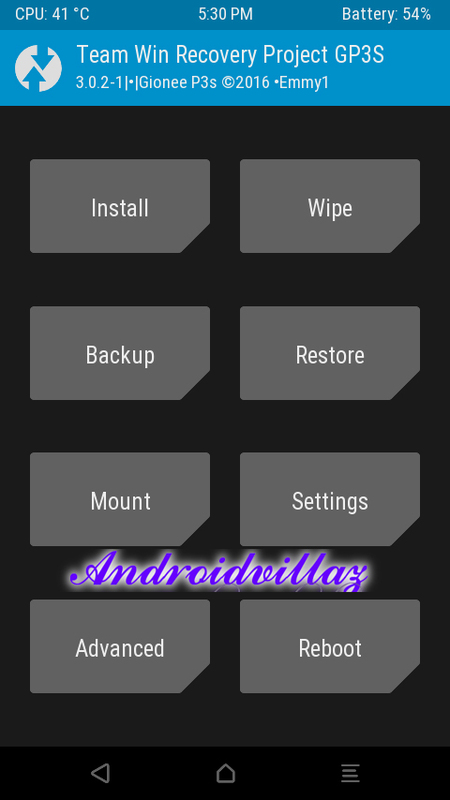 Thanks buddy for the twrp recovery file..
thanks bro for this rom …..